Studio Pigment Orange | Studio Pigments | Pigments of Modern Age | Pigments | Kremer Pigments Inc.
Precautions: Wash hands immediately after use. When using do not eat, drink or smoke. Not for use by children. For further health information contact a poison control center. 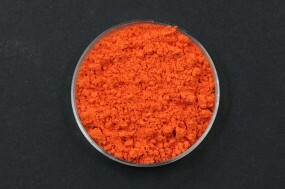 Customer evaluation for "Studio Pigment Orange"